To register call Corinne at 401-644-8435 or Register Online. 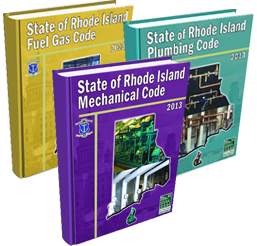 The code books include the Rhode Island Amendments right in them and highlighted as such. Membership experience starts here. We invite you to explore all of the ways that PHCC works to help grow your business and profession. Membership starts at the state level and includes national membership. Click here to learn more about PHCC memberships. Q: How will the 2015 standards affect the water heater industry? A: The new mandates effective April 16th 2015 will require higher EF ratings on virtually all residential gas, electric and oil fired water heaters. These changes will have an impact on how water heaters are designed, manufactured, tested, distributed, and installed, affecting manufacturers, wholesalers, installers, and customers alike. Q: Are there product changes that are known at this time? A: The new requirements will vary depending on the fuel source and volume of the water heater. These changes may be relatively minor in some cases…read more.